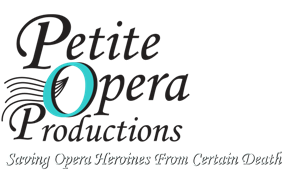 For those who are unable to attend its May 18 Vocal Palettes & Pairings benefit concert and wine tasting, Petite Opera offers another way to donate and support its general fund and November 2013 Cosi fan tutte. Recently, Petite Opera added PayPal capabilities. So, go ahead and Donate Now Via PayPal! It's convenient, it's safe and all proceeds go toward Petite Opera, a 501c3 nonprofit professional opera company.